U.S. EPA and the Army Corps of Engineers are disputing their own economic analysis of the 2015 Clean Water Rule, now saying most benefits they previously ascribed to the Obama-era regulation can no longer be quantified. 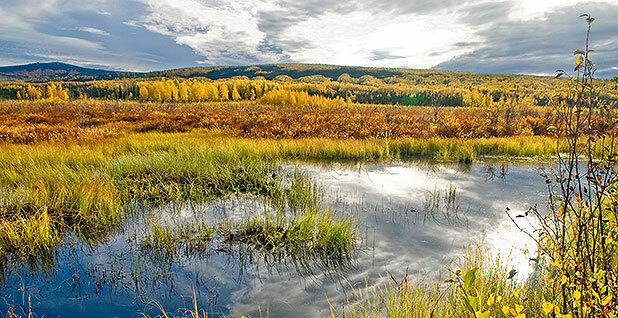 The agencies criticize their previous calculations in a new analysis of the economic impacts of repealing the Clean Water Rule, which seeks to clarify which wetlands and small waterways are protected by the Clean Water Act. The Trump administration has made repealing the Clean Water Rule, also known as the Waters of the U.S. (WOTUS) rule, a priority. The administration's new economic analysis, released this week along with a proposed WOTUS repeal, maintains the previously calculated costs of implementing the rule but reduces the regulation's benefits by 85 to 90 percent. With the new calculations, the benefits of implementing WOTUS no longer outweigh the costs, as they did in the Obama administration analysis from three years ago. WOTUS has been stayed nationwide by courts and was never implemented. But EPA and the Army Corps wrote that they decided in their new analysis to compare the economic impacts of a repeal to the economic impacts of implementing the regulation in order to be transparent about the "differential effects of restoring the pre-2015 status quo." To that end, the new analysis largely relies on and accepts the majority of the calculations from the 2014 economic analysis of implementing WOTUS, simply relabeling what in 2014 were called annual costs and benefits as "avoided costs" and "forgone benefits," adjusted for inflation. But the new analysis breaks from the original in determining the benefits of increased protections for wetlands from dredging and filling activities under the Clean Water Rule. In the 2014 assessment, EPA and the Army Corps calculated that total annual benefits from implementing the regulation would range from $338.9 million to $554.9 million. The majority of those annual benefits came from increased protection of wetlands, valued at a range of $306.1 million to $501.2 million. By contrast, the new analysis values economic benefits forgone by repealing WOTUS at $33.6 million to $72.8 million annually, plus "unquantified benefits" from wetland protections. EPA and the Army Corps justify the discrepancy by writing in the new analysis that their previous attempt was misguided and relied on faulty information. Back in 2014, the agencies looked at how wetlands mitigation efforts might change under WOTUS in order to quantify the value of increased protections. Under the Clean Water Act, landowners that are permitted to dredge and fill in wetlands are required to preserve and restore comparable areas. The 2014 analysis looked at 10 studies of landowners' "willingness to pay" for that mitigation in wetlands similar to those that would be newly protected under WOTUS. The agencies now say they erred in relying on those 10 studies, noting in the new economic analysis that all the studies were published between 1986 and 2000. "The age of these studies introduces uncertainty, because public attitudes toward nature protection could have changed," the 2017 analysis says. "The past 30 years have also seen tremendous advances in statistical and economic methods that have improved the ability to collect and analyze data on the willingness to pay for changes in environmental amenities." The new analysis also says the 2014 assessment did not adequately take into account state wetland protections that may have covered the same wetlands as WOTUS, adding "additional uncertainty" about the calculations. "In the case of the forgone benefits of wetland protection, the agencies believe the cumulative uncertainty in this context is too large to include quantitative estimates in the main analysis for this proposed rule," the agencies write. The Trump administration's economic analysis echoes criticisms lobbed against EPA and the Army Corps three years ago by the Waters Advocacy Coalition, an organization of more than 60 industry groups that seeks to limit federal water regulations. A review of the 2014 economic analysis commissioned by WAC also slams the 10 "willingness to pay" studies as being "largely irrelevant" due to their age. The WAC report goes on to fault EPA and the Army Corps for relying "on an unstated assumption that all of the incremental wetlands affected by the definitional change would be comprised if federal jurisdiction is not expanded." While the WAC report attacks numerous aspects of the 2014 economic analysis, it calls the calculation of benefits "some of the most glaring errors." Brian Mannix, former EPA associate administrator for policy, economics and innovation under the George W. Bush administration, said it is hard to know which administration's calculations are the most accurate. "It's difficult to know whether they just have a different viewpoint than the Obama administration, or if the Obama administration was exaggerating or if the Trump administration was undercounting benefits," he said. Because WOTUS does not itself impose any requirements on industry, instead clarifying what areas are covered by other regulations, deciding which factors to consider in an economic analysis allows for "a lot of subjective judgements." Mannix, who now works at the George Washington University Regulatory Studies Center, said he believes the differences amount to "run-of-the-mill politics and policymaking." "I expect they had a lot of comments on the original rule that were critical of the benefits analysis and the Obama administration discounted that, and maybe the Trump administration finds those comments credible," he said.